COFFS COAST (NSW) – State-level rally crews will have their chance to shine in the Kennards Hire Rally Australia world championship event next November with the introduction of a new competition named the Kennards Hire Cup and featuring $5000 prize money. Click here to download Kennards Hire Cup details. 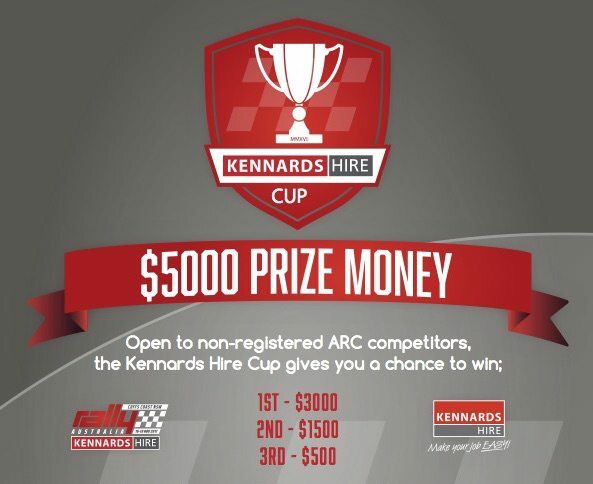 The Kennards Hire Cup will be open to competitors who are not registered for the CAMS Australian Rally Championship, or who have not won a podium place in the ARC events preceding Rally Australia, which will be staged on the New South Wales Coffs Coast on 16-19 November. Competitors in the new ARC2 support category of the ARC will be eligible. In addition to the FIA World Rally Championship and CAMS ARC, Rally Australia 2017 will host rounds of the New South Wales and Queensland Rally Championships, but Clerk of Course Wayne Kenny said the Kennards Hire Cup would be open to competitors from anywhere in Australia. “While the FIA World Rally Championship will be the elite category, Kennards Hire Rally Australia offers virtually every rally driver in Australia a chance to run on the same roads on the same weekend as the best in the world,” Kenny said. “Not every race driver can get a start at a grand prix, but the Kennards Hire Cup at Rally Australia will ensure there’s a spot for rally drivers from virtually all levels of the sport. “In its second year as Rally Australia naming sponsor, Kennards Hire has stepped up to support this fantastic new competition with cash prizemoney of $5000. 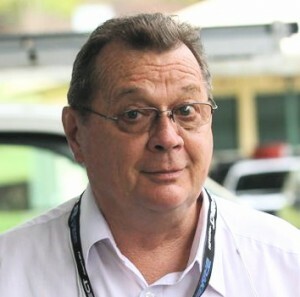 Kennards Hire Cup entrants will contest the full three-day itinerary of the Australian Rally Championship fifth round. An entry and final details for the Kennards Hire Cup will be available with the publication of Supplementary Regulations in August.